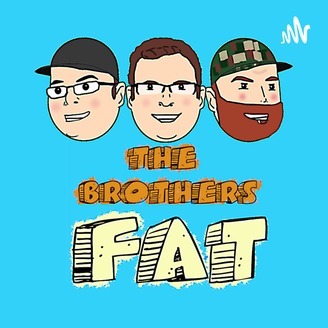 The Brothers Fat is a weight loss podcast featuring three brothers who are indeed, fat. Some have even said "very fat" on occasion. They've agreed that losing weight ought to be a priority on their list (even if it falls below playing video games sometimes... ok most of the time.... ok fine ALL OF THE TIME). 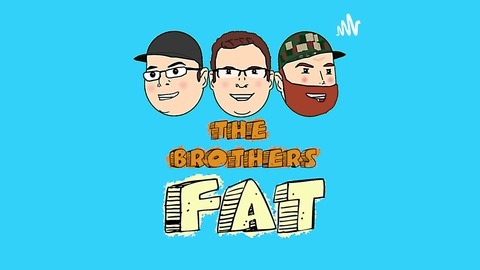 This show will feature comedic, inspirational, possibly-intellectual, and (very likely) pseudo-scientific content with an emphasis on weight-loss and the struggles that typically accompany. You can expect some new information, challenges, games, and an embarrassing task for each episode's non-loser (or gainer). Join our hosts on their weight-loss endeavor to see if they ACTUALLY do it (this time)! The brothers are back after an accidental two-week hiatus. There are toilet stories, talks of wrestlemania, some changes being made in the weightloss effort, and stories from days past. Don't miss this weekly update episode! Lots of laughing and inhaling in this one, folks!